The Australian Packaging Covenant (APC) is working closely with Sustainability Victoria to support sustainable packaging projects to increase recycling rates and reduce packaging litter. Two innovative projects that address the recycling of flexible plastics will collectively receive $848,130 in joint funding. GT Recycling, in Geelong, is turning packaging for rice and grains, and bulk industrial and reusable shopping bags, into Polypropylene compounds to be used in a range of products including plant pots, garden furniture and concrete reinforcing bar stools. The funding will enable the company to install new infrastructure and boost processing capacity by up to 1,500 tonnes a year. Welvic Australia is helping keep PVC plastic containers and film out of landfill, with the project set to divert between 800-1000 tonnes of plastic waste. Sustainability Victoria CEO Stan Krpan said this included 200 tonnes of Welvic’s own processing scraps, which would be turned into new PVC compounds to be used in industrial hoses and mats. 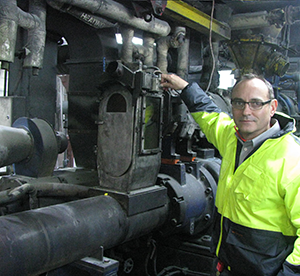 “By finding ways to turn flexible plastics into valuable products we can help create end markets for the use of this material and support the growth of the recycling industry in Victoria,” Mr Krpan said. Australian Packaging Covenant CEO Trish Hyde welcomed this opportunity to work closely with the Victorian Government. “The APC has a very simple aim – to address the negative impacts of consumer packaging on the environment. This is achieved through collaborative projects like GT Recycling and Welvic that bring government and industry together on packaging sustainability initiatives,” Ms Hyde said.